After a bright start in I-League, the Durand Cup champions were brought crashing back to the ground by Karim Bencharifa’s men. 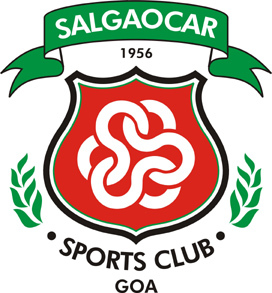 Chirag lost 4-3 to Salgaocar in what was unarguably the best match so far. Chirag was undone by refereeing decisions as they could have had at least two penalties. Coach Subrata Bhattacharya was also left fuming at the condition of his backline. His team won the Durand Cup without conceding a goal but they have let in 18 goals in 27 matches otherwise. 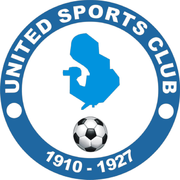 United’s biggest strength is the form of attackers, Joshimar and Elijah Junior. Junior has already notched up 3 goals in 2 matches. A rumour that Subrata will leave Chirag has been doing rounds in Kolkata football circles. Overall, the team is not in the best of shapes coming into this match. The Airmen from Mumbai registered their first points with a come from behind draw against Viva Kerala. Manjit Singh, who joined AI from Salgaocar scored the equalizer. Both teams played the match with a cautious approach and chances were few. Chirag is yet to build a significant fan base in Kolkata, so crowd pressure will not be a problem for the visitors. Yusuf Ansari’s men would look to get a point out of this fixture, anything less than a win will be a disappointment for Chirag. Margao had been a fortress for Dempo in the last few seasons. It was in this stronghold that the defending champions got totally outplayed by East Bengal in round-2. It was one of Dempo’s most abject performances under Armando Colasco. To be fair, the Goans have suffered by losing 7 first team players to Indian National team. Brazilian Beto fell out with the management and is yet to play a part in this year’s campaign. Under these circumstances Dempo is over-reliant on Kalou and Ranty Martins. Winners of inaugural NFL in 1997, JCT slumped to a shock loss to HAL in their first match. The mill-men put up a much improved display against Churchill Brothers. Parminder Singh’s team took the lead through a Balwant Singh header. Saran Singh and Omolaja Kareem were especially impressive in that game. An away trip to Dempo has been the toughest fixture in last few I-League seasons. JCT will play for a draw with an ultra-defensive approach. Ranty Martins failed to get past the EB defence in last match, he’d surely want to get over that disappointment against JCT. Debutantes in 2010/11 season, ONGC has so far played enterprising football. After a narrow loss to East Bengal in the opening game, they squared off against fellow newcomers AIFF XI in the 2nd match. They took the lead through Badmus Baba Tunde. Baba Tunde was the top scorer in 2nd division last season and as expected he scored ONGC’s first ever I-League goal. Gour Naskar and Robin Gurung were once again impressive. 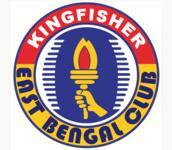 Rajat Ghosh Dastidar who played for both the Kolkata giants, is dependable under the posts. Karim Bencharifa seems to have waved his magic wand as Salgaocar are off to a roaring start. 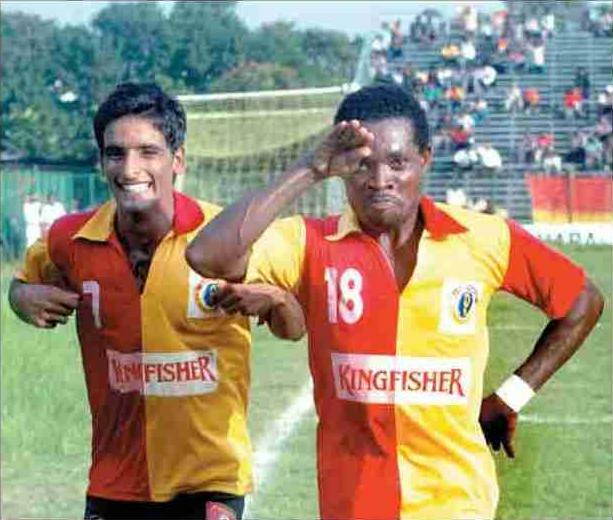 Winners of NFL in 1998/99, the Goans have scored a whopping 7 goals in first two matches. Japanese Ruiji Suyeoka has been inspirational – scoring 3 goals. In the last games, however, the star player was Gilbert Oliveira. Salgaocar’s youth program was recently praised by AFC representatives. Gilbert a product of the same system showed how correct the assessment of AFC was. He scored his first goal after 23 seconds. His second goal was somewhat fortunate but his overall performance garnered a lot of praise. 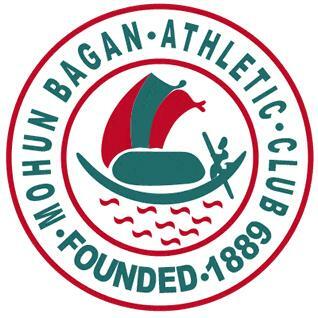 The last time Mohun Bagan lost a home match to HAL, they went on to lift the NFL title. Even the most ardent Bagan supporter wouldn’t expect a repetition of 2002/03 season’s exploits in 2010. Despite assembling a fierce trident of 3 foreign strikers, the Green and Maroon brigade is yet to win a trophy. They were undone by minnows HAL in last match. Bagan’s current defence is arguably one of the worst in the club’s illustrious history. The backline was routinely beaten by HAL’s modest attacking threats. Coach Stanley Rosario’s ability to coach a big club is also coming under scanner. The only player who seemed to play well against HAL was Jose Ramirez Barreto. The evergreen Brazilian scored a brilliant goal and hit the post once but was let down by incompetency of the rest of the team. Churchill Brothers haven’t started well. 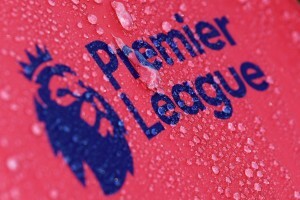 They conceded first in both matches and could only earn a draw in the end. Coach Vincent Subramanium was visibly upset after the draw against JCT. Churchill’s young defensive line, comprising of primarily players from U-23 Indian team, lacks experience in I-League. 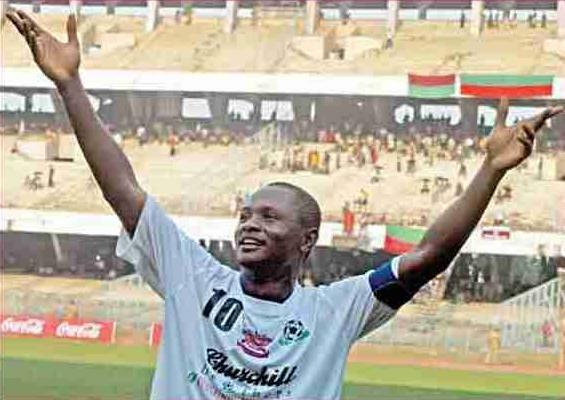 In the absence of Rafi, Churchill’s forward line is over-dependent on Odafa. The Nigerian hasn’t disappointed so far, scoring 2 goals in 2 matches. The goal against JCT was Odafa’s 200th in Indian football. Incredibly, he took just 210 matches to reach that milestone. The Bagan backline is up for some torrid time against one of the most dangerous goal-poachers in history of Indian football. Six years has passed since the I-League title came to Kolkata. This season Trevor Morgan’s East Bengal is showing early signs of running away with the title. In a clash of titans with Dempo, they wiped out the defending champions. Brahmananda, former Indian goal-keeper, remarked that he has never seen a Kolkata team play such scintillating football in Margao. Red and Gold brigade won the game by a solitary goal but deserved a 5-0 scoreline with the amount of chances they created. Tolgey Ozbey scored the winner with a wonderfully taken goal, after Penn Orji threaded a defence splitting pass to him. Crucially, East Bengal’s defence completely neutralized Ranty Martins. The Zonal marking employed by Morgan worked perfectly as Ranty could muster only two shots in the whole match. Special mention has to be made of Sushant Mathew and Sandip Nandy. The former played as a destroyer in the midfield, allowing no space the Dempo’s players. The latter made smart stops when called into action. 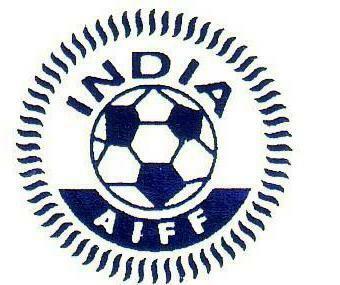 AIFF XI, with an average age of 18, is the youngest team to ever play in I-League. The boys were undone by inexperience in their first games. Despite showing good fighting spirit, they were undone by defensive lapses. The spirit was evident against ONGC in 2nd match. AIFF XI trailed 1-0 going into the lemon break. They came back firing on full cylinders in 2nd half. Lalpekhlua and Malasam Fela combined beautifully upfront and they were fed with precise crosses from Lalrozfama. AIFF’s persistent pressure paid off as they grabbed an equalizer in 79th minute, Jeje scoring the goal. Raju Gaikwad was a standout player in defence. AIFF XI will be out of depth against East Bengal’s marauding army. The Fed Cup winners may prove to be too tall a mountain to climb for the youngsters. 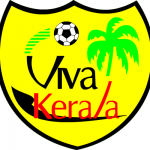 Viva Kerala has made a disappointing start to their I-League campaign. 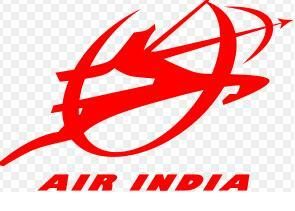 They were thumped by Salgaocar in the first match but managed to earn a 1-1 draw against Air India. Young striker CS Sabeeth found the back of the net after 15 minutes. Viva has been weakened by the departure of Sakeer and a lot depends on veteran Kuluthungan and Sabeeth. 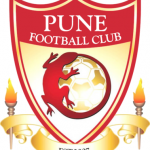 Pune FC, one of the most professionally managed clubs in India has also started poorly. 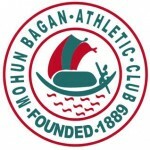 They were the 2nd best team against Mohun Bagan for a large part of the opening game. Against Mumbai FC in the Maharashtra Derby, they lost 2-0. It was a highly disappointing result. PFC has been generating a lot of hype before the I-League began and they need to live up to it. Goal-keeper Balaji has looked extremely shaky in the two matches. Pune missed the services of Arata Izumi in this match, Brazilian Edmar had to stretchered off against Mumbai FC. PFC might miss the services of its foreign stars against the team from Kerala. This intriguing clash sees two of the surprise packages of I-League face off against each other. 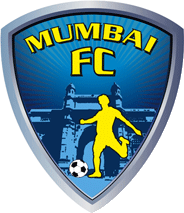 Mumbai FC is reportedly suffering from financial problems. The Essel Group owned club was unable to assemble a strong team, while some young prospects left for greener pastures. Not much was expected from them in the start of I-League. Yet under Subrata Bhattacharya (Junior), they have collected full points from first two matches. 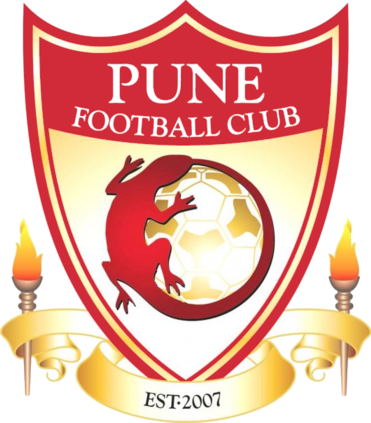 Last week they defeated highly rated Pune FC by two clear goals. Ironically, the opening goal was scored by Kuttimani, a PFC discard who joined MFC. HAL coach Muralidharan faced a strange predicament last Wednesday. Upon calling the club officials in Bangalore to inform about match result, he found it extremely difficult to convince them that HAL had actually won. It was possibly the biggest upset in I-League so far. HAL, an “office” team, a team worth 40 lakhs defeated a Bagan side whose forward line alone cost more than that. Muralidharan completely outwitted Rosario in the clash in YBK. His defence put up a solid wall while his wingers exploited Bagan’s weakness in defence. The coach changed the game by bringing on RC Prakash in 2nd half. The former Bagan striker changed the context of the match with his presence in the penalty box. It was his shot that led to HAL’s winning goal after Sangram failed to save it properly. HAL defenders Adeola and Rohit Chand successfully marked Muritala out of the game. Could you please include the timings of the matches like the previous rounds. It would be really helpful.